Analog Gas Alarm Systems come in 1, 2, 3, 4, 5, and 6 gas categories where the number indicates the number of gases the system can handle. 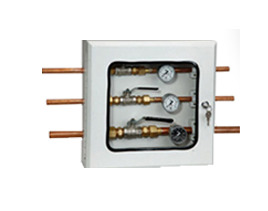 The system contains analog meters for displaying pressure of the different gases coming from the pipe lines. 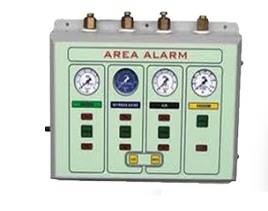 The system generates appropriate alarm in case of High pressure or Low Pressure in any gas. 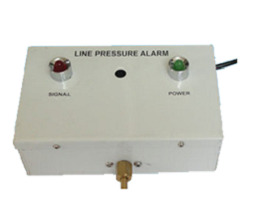 These alarms come with RS-485 Modbus interface for BMS connectivity. 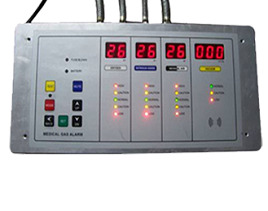 One NO/NC terminal is built-in for alarm extension and provision is made for adding external NO/NC interface for each gas individually.